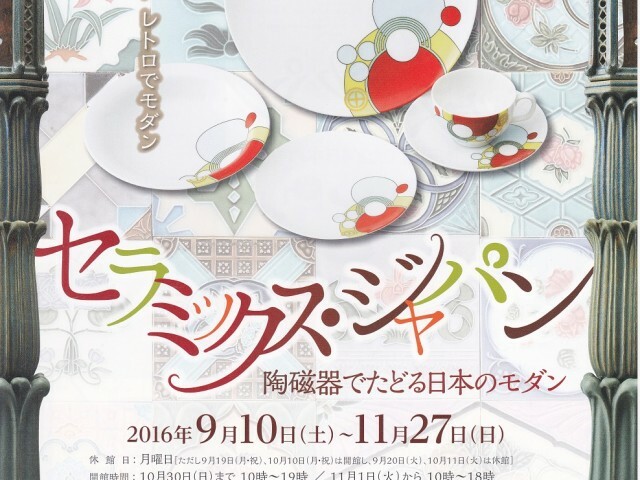 An exhibition titled”Ceramics Japan” will start from 10th Sept 2016 to 27th Nov at The Museum of Ceramic Art,Hyogo. 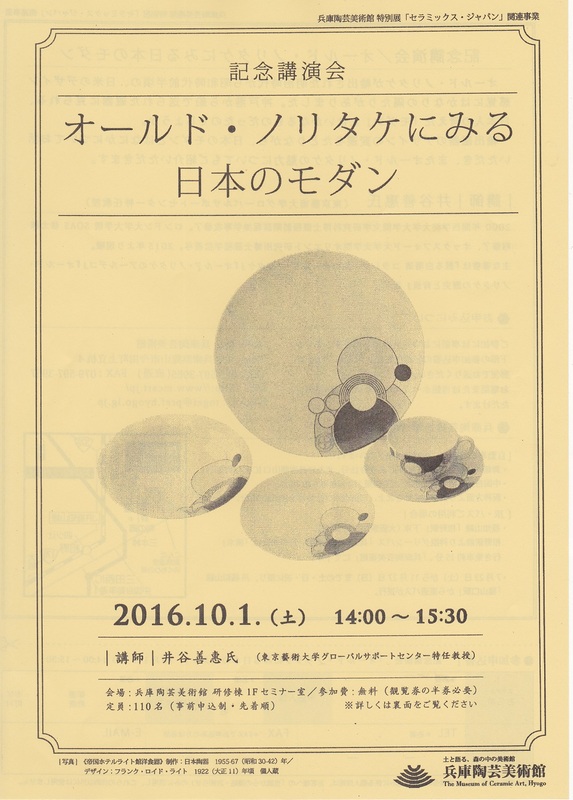 I will talk about “Japanese modern on Old Noritake” 14:0–15:30 1st Oct 2016. 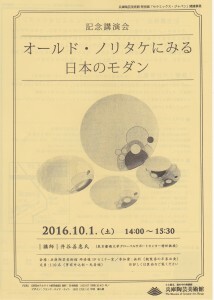 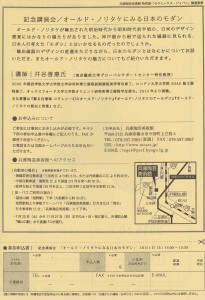 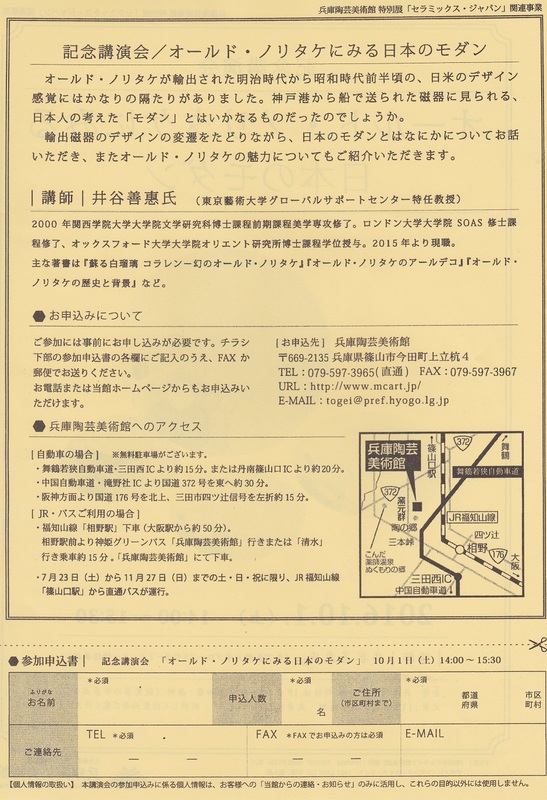 I am very happy if you will come to the Exhibition and the lecture.